Increasing Aboriginal employment and cultural well-being while bringing knowledge of country to resource management. Our Aboriginal inclusion plan Munganin – Gadhaba, meaning 'Achieve Together', sets out DELWP's approach to inclusion for 2016 - 2020. Our Aboriginal inclusion plan Munganin – Gadhaba, meaning 'Achieve Together' in the Taungurung language, sets out DELWP's approach to inclusion for 2016 – 2020. DELWP is developing partnerships to increase opportunities for Aboriginal employment, cultural wellbeing and economic prosperity while bringing knowledge of country to our management of land, water, the natural landscape and built environments. 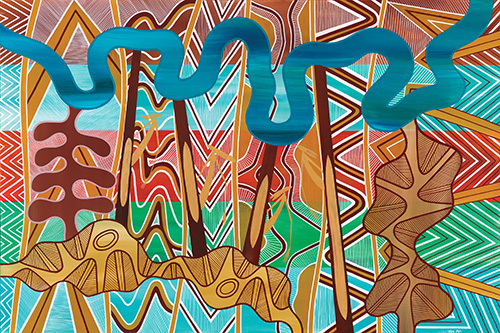 The name Munganin – Gadhaba is from the Taungurung language and brings to life the plan's aim to work in partnership with Traditional Owners and Aboriginal communities across the state.